When the space-age vomit comet called the Hyperloop was introduced to the public, it may have seemed like little more than a moonage daydream - but now it might become a reality. The futuristic public transportation option will soon be opened to crowdfunding on JumpStartFund, a Kickstarter-like site that allows users to form corporations around ideas before opening up to wider funding. The group developing the plans is led by Marco Villa, former mission operations director at spacecraft company SpaceX, and includes Patricia Galloway, a former president of the American Society of Civil Engineers. They're looking for more geniuses to sign up for the company in exchange for equity, and crowdfunding will begin soon. The Hyperloop may someday soon send passengers hurtling between San Francisco and Los Angeles at hundreds of miles per hour. It was conceived by Elon Musk, the founder of Paypal, Tesla Motors and SpaceX, but he seemed reticent to make it a reality himself. But he gave the JumpStartFund team, led by his SpaceX colleague Villa, permission to develop the plans further. Musk said previously that his team at SpaceX was heavily involved in the project's initial conception. The Hyperloop has been subject to plenty of criticism, but Villa reportedly said that they've yet to run into any technical problems that they can't solve. He also said he looks forward to receiving input from the JumpStartFund community "to make this a true open-source development." 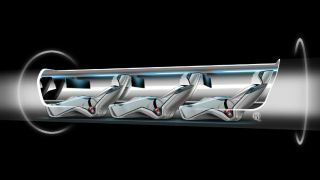 TechRadar goes in-depth on the Hyperloop, transport's mind-boggling new future.